Make Up For Ever have been on my wishlist of makeup brands to try out ever since they arrived in the UK last year. They've been a Youtube and blogger favourite for a while now, so I'm finally jumping on board the MUFE train and trying some bits out. Whoop whoop! I've very kindly been sent three Make Up For Ever samples to have a play with; Pro Light Fusion Undetectable Luminizer Highlighter in 02 Gold, High Precision Lip Pencil in 11, and Pro Sculpting Brow Palette in 2, and I have to say that I've been loving all three of these lately. 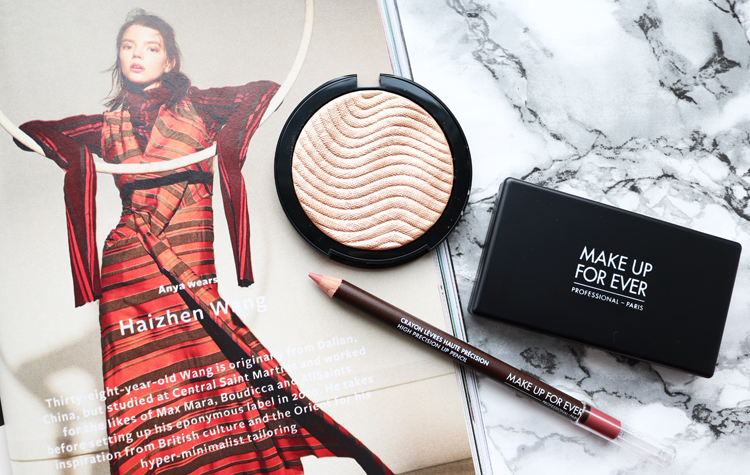 MUFE are well known for their highlighters and their Pro Light Undetectable Luminzer is the highlighter of dreams for those who want that coveted 'lit from within' subtle glow, whilst adding a delicate sheen to the cheekbones. This highlighter won't blind you or those who come into contact with you, but it will add that special 'something, something' to pull together a sophisticated look. Available in two shades, I have 02 Gold, which is a beautiful, straight-up, gold shade with micro shimmer. The embossed, wave-like print in the pan is dreamy to gaze upon and has a cool Aztec or Egyptian style to it which I love. It applies lightly, but can be built up if you want a bolder finish - perfect for those who are venturing into the world of highlighters for the first time. It really warms up my Light Olive skintone, and I imagine this would work very well with medium/tan skin tones too. If you're paler, the Golden Pink 01 may suit you better. 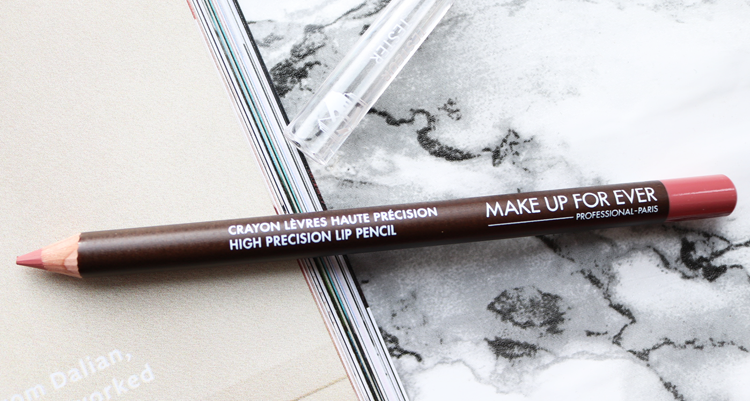 Lip pencils have become an obsession of mine this year, and MUFE's High Precision Lip Pencil is definitely in my favourite top five. It reminds me a lot of Charlotte Tilbury's amazing Lip Cheat pencils in terms of pigmentation, longevity and overall performance, but I'd say that MUFE's is slightly waxier and a little less creamy formula-wise. Saying that however, it does go on smoothly, and I'm in love with this shade 11 which is a beautiful neutral/natural pink. Very much a MLBB (my lips but better) shade for me and something that I've been reaching for on a daily basis since it arrived. To keep your brows on fleek for all those impromptu selfies whilst you're out and about, this cute slim and compact brow palette has everything you need. On the left, you'll find three pans of brow powder with a dark brown, mid-brown and light brown colour available so that you can create your perfect custom shade. 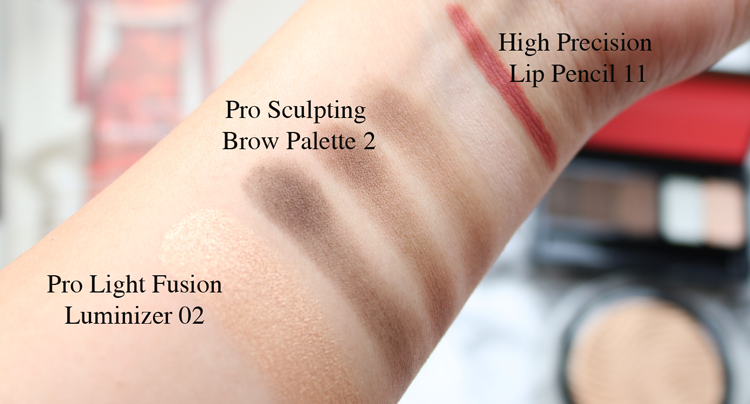 The pigmentation for all three of these is quite soft, so I'd recommend it more for those who want to fill in sparse brows, rather than people who want to draw on brows from scratch, as they're much better for blending. On the right-hand side of the palette, there are two pans featuring a clear wax and a pale flesh-toned matte powder highlight for using underneath the brow bone when you want to accentuate and lift up the arch. There's a small brush also included, but I found this too stiff to use, so I just use my trusty travel sized Ecotools one instead. Apart from that though, this is a great travel-friendly brow palette that won't up much room in your makeup bag. Shade wise, blondes and lighter brunettes can pick up this palette in number 1. 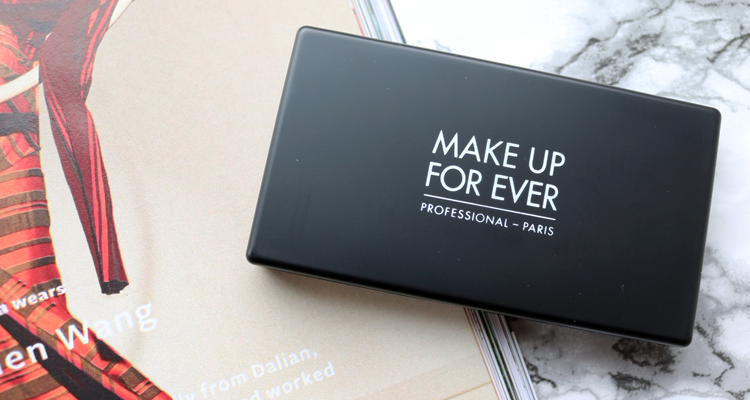 Are you a fan of Make Up For Ever? That highlighter is STUNNING! I really want to try the lighter shade one. These are beautiful. That lip pencil is just my thing. I tried the brand recently via Love me Beauty. Stunning shades are great performance. 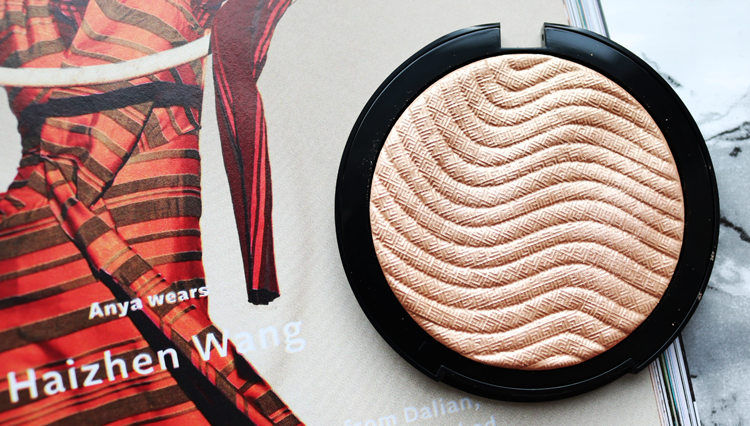 that highlighter looks a dream, really need to add that to my collection! So glad you done this post ! I've been wanting to buy the eyebrow kit for a while and this has helped . Think I will buy the lipliner it looks an amazing colour on your lips!